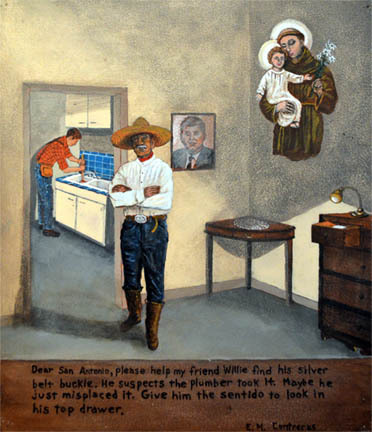 "Milagros", is an annual exhibit, shown at Contreras Gallery. 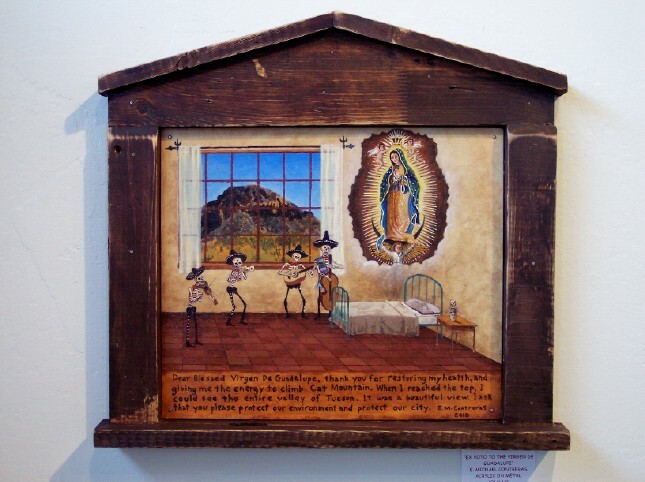 The ex votos are not vintage. They are done by local Tucson artist. Some are done in the traditional style and some are done in a contemporary style. Ex-votos are placed in a church or chapel where the worshiper seeks grace or wishes to give thanks. 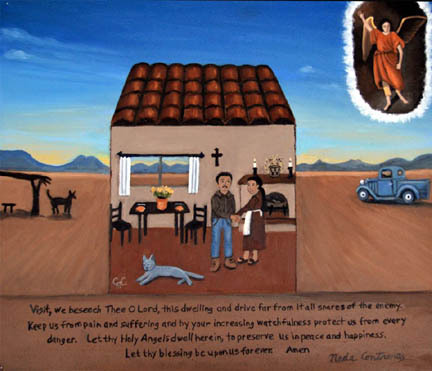 The destinations of pilgrimages often include shrines decorated with ex-votos.ng ex votos and retablos.